treasure | Thots and Expressions.. It was the summer of 1995, fifteen years ago. I had just taken membership in a library called the “German club library”. For a small sleepy town like Rourkela, the library was pretty good. Contained around 15-20 racks of fiction books. As a youngster fascinated with fiction, you could read along to all your heart’s desire! So that’s Tintin for you. A hilarious, thrilling and engrossing series set in a perfect world where good always triumphs and the villain always ends up behind the bars. The expensive comic, with beautiful glossy print unfolding pages and pages of delightful merriment was a prized possession in my childhood days. Every kid loved them! Obviously, when the much awaited cinematic version arrived, it was looked forward to with breathless anticipation. Spielberg has done it again! 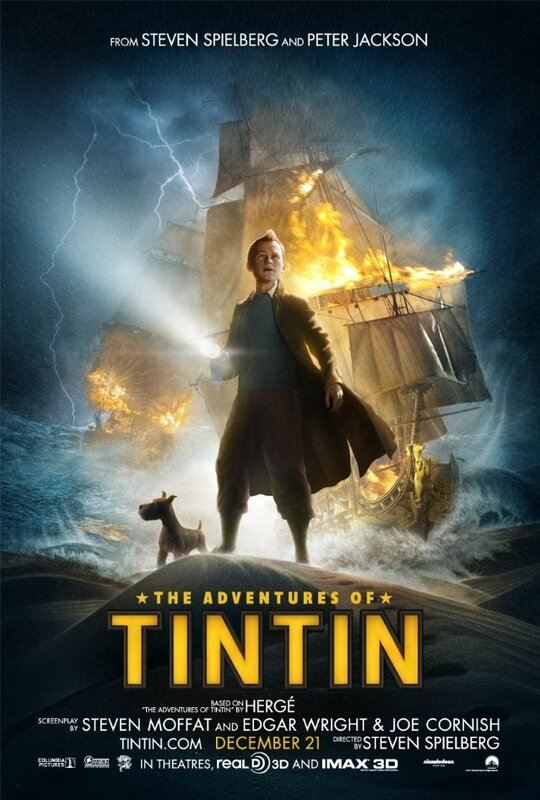 The Adventures of Tintin: The Secret of the Unicorn is a dazzling adaptation of the comic series. And in 3D, it seems so real, so remarkably Herge, with the adorable captain Haddock, spunky Snowy and Tintin of course!. The movie actually made me feel lucky – it was like the characters have come alive; walking out of my imagination right in front of my eyes! Every bit of it keeps you engaged – either you are laughing or you are gaping at what would happen next. With mind numbing stunts, albeit in animation, the Tintin movie is total awesomeness packaged in one deal. Spielberg waited 30 years to make a movie of his favorite character, and every bit of it is worth the wait. The story involves an inquisitive detective with an extraordinary flair for uncovering mysteries. Tintin gets caught up in curious happenings involving a long lost ship, which begins a roller coaster ride leading to a hidden treasure. For a generation that began its brush with English literature in stories of lost and hidden treasures ( remember Enid Blyton’s Famous Five, Nancy Drew, Hardy boys, and our very own Treasure Island by R.L.Stevenson! ), it is the perfect cinematic and visual treat. The racket goes on and on and on, almost making your head reel. And even towards the end, you feel that there is so much more to go. After so much action, the climax seems to be a bit abrupt – not the director’s mistake; the character of Tintin had so much up his sleeve. 107 minutes of absolute entertainment. It is 9 out of 10 on the awesomeness scale!